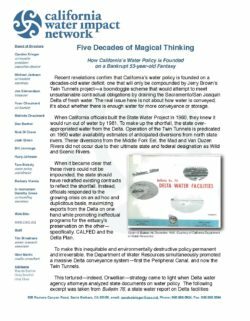 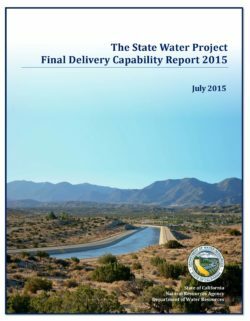 The State Water Project (SWP) provides drinking water to approximately two-thirds of California’s population and is the nation’s largest state-built water development project. 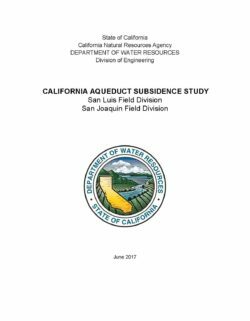 The SWP extends from the mountains of Plumas County in the Feather River watershed to Lake Perris in Riverside County. 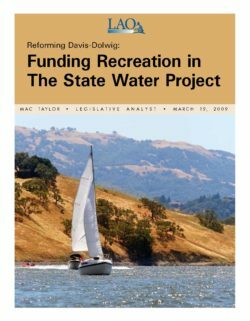 It is linked with the Central Valley Project (CVP) that extends from southern Oregon in the Sacramento River watershed to the Mendota Pool. 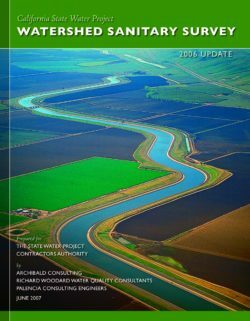 The watershed of the SWP is vast; encompassing the 27,000-square-mile Sacramento River and 13,000-square-mile San Joaquin River watersheds and at times, the 13,000-square-mile Tulare Basin watershed. 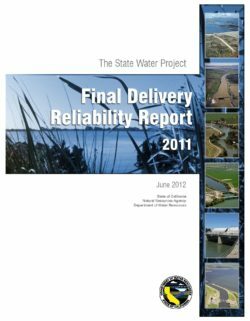 The contaminant sources in the SWP watersheds have been well documented in the three previous sanitary surveys. 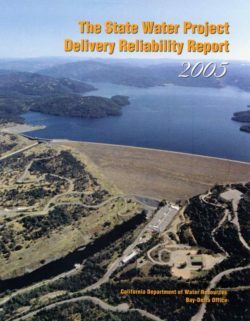 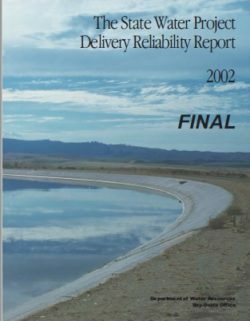 The California Department of Health Services (CDHS) requested that the 2006 Update address the Jones Tract levee failure and emergency response procedures, efforts to coordinate pathogen monitoring in response to the Long Term 2 Enhanced Surface Water Treatment Rule (LT2ESWTR), and a review of significant changes to the watersheds and their impacts on water quality. 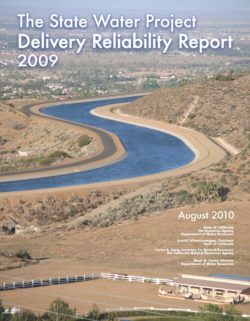 A Technical Review Committee (TRC) was formed to guide development of the scope of work and provide technical expertise and review of the draft report. 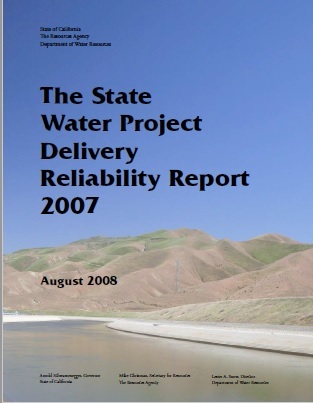 In addition to addressing the issues raised by CDHS, the TRC determined that the 2006 Update should focus on evaluating the sources of the water quality problems that the SWP Contractors face and recommending actions that the SWP Contractors can take that will lead to improvements in water quality over the next five years.